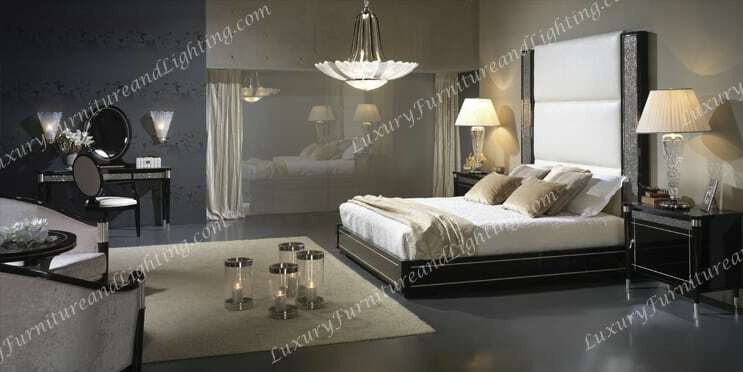 We carry Full European Bedroom Furniture Sets, or you can purchase any or all Bedroom Pieces Separately. 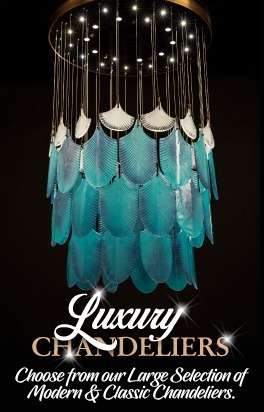 Luxury Furniture is one of the Largest Italian Furniture & European Style Furniture Companies on the Internet. 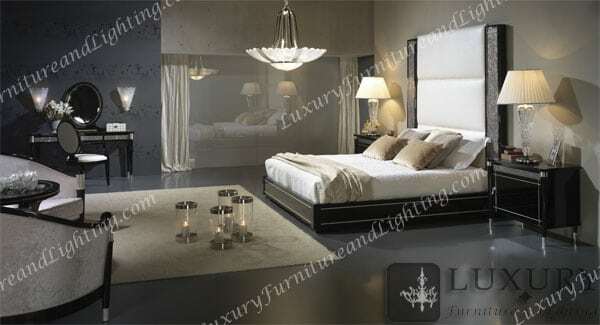 Luxury Furniture proudly presents the brand new NICEA Collection of European Bedroom Furniture. 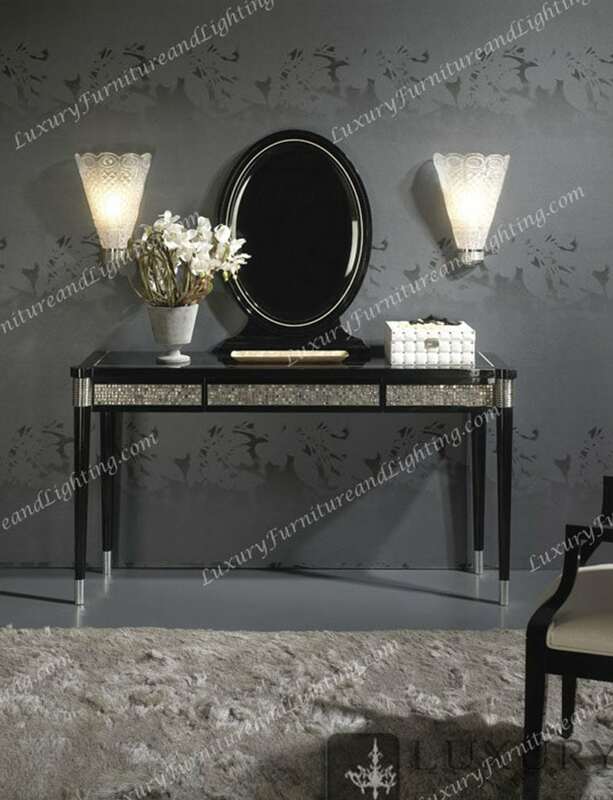 Composed of solid Beech Wood structures with authentic Murano Platinum Glass, Sycamore Inlays, Brass Accents & Black Lacquercollection is truly an inspiring collection. 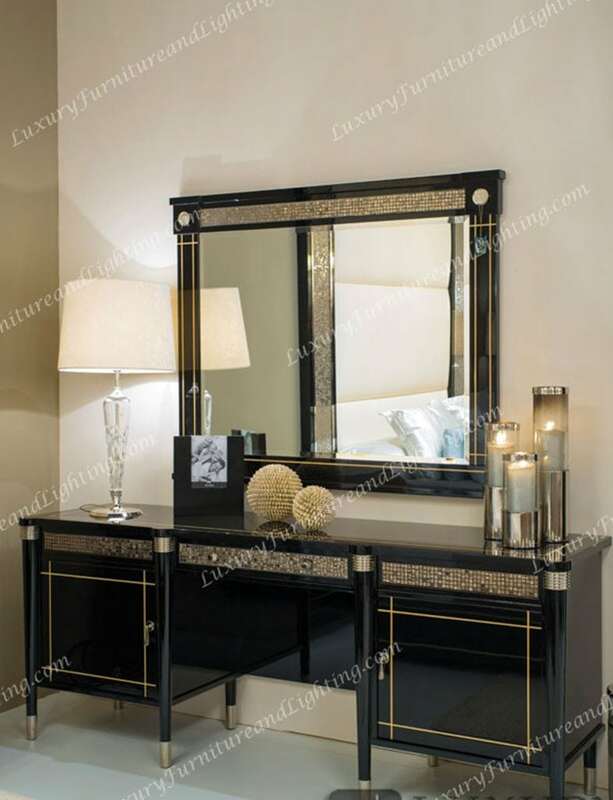 The NICEA Collection of European Bedroom Furniture consist of a King Size Bed, Bedside Tables, Large Dresser Table, Large Dresser Mirror, & end of Bed Foot bench. 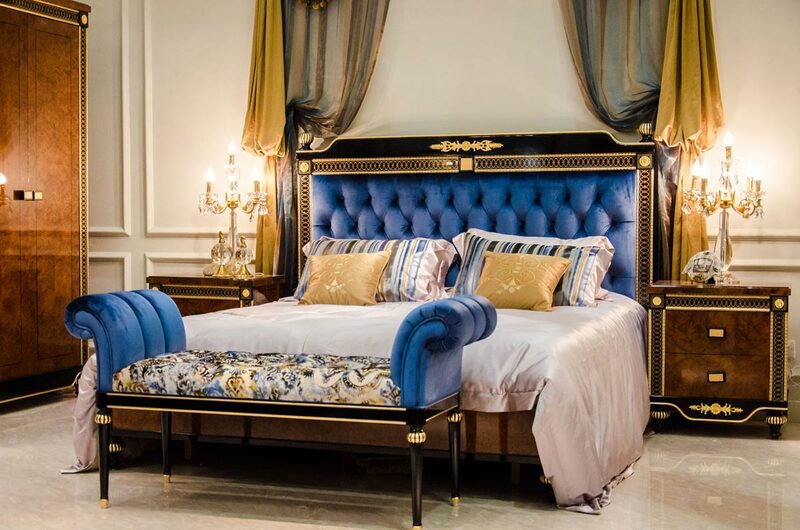 Our Newest NICEA European Bedroom Furniture Collection will make your bedroom feel like a Palace. 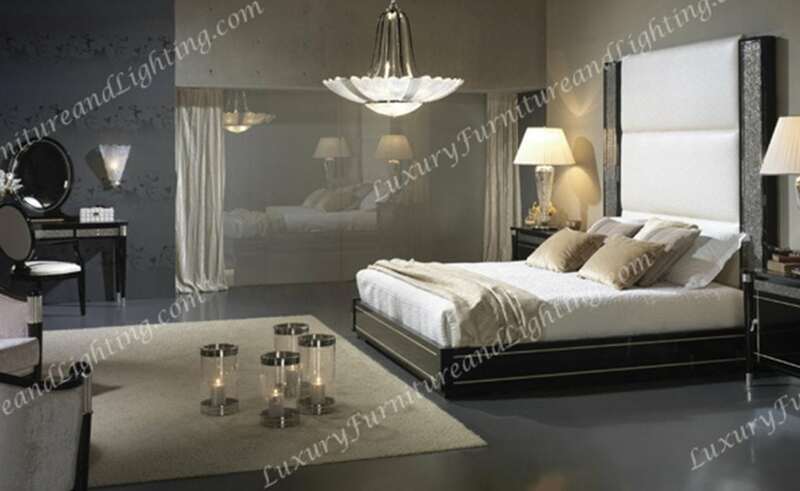 This Bedroom set will make you feel like you are wrapped in pure luxury. 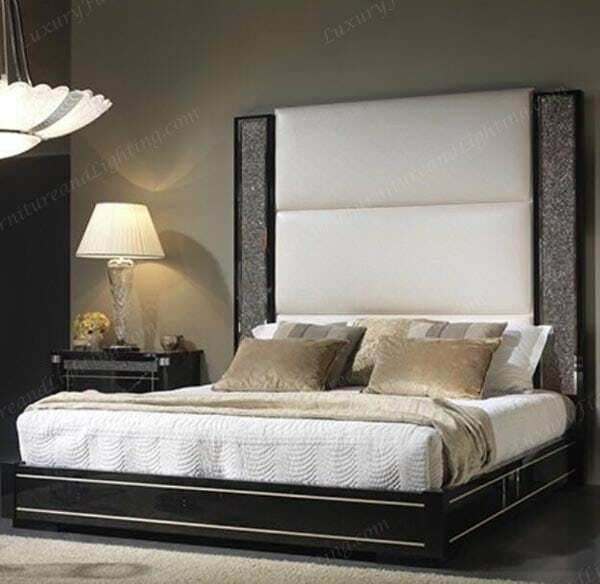 The NICEA Collection King Size Bed is an extremely beautiful piece. The Beech Wood Structured Bed Framing is low lying to the floor to complete the European Style. 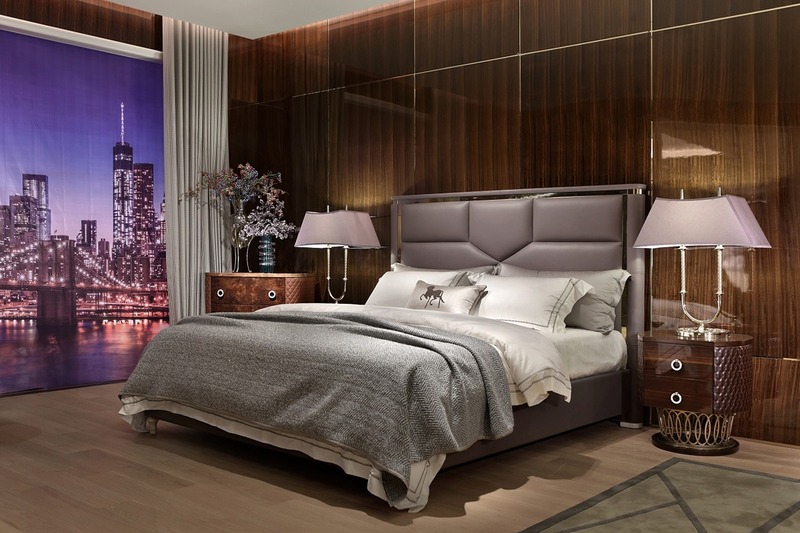 The King size headboard scales up the wall and is encased by Murano Platinum Glass, Sycamore Inlays, with Brass Accents. The headboard enhances the ambiance of the collection. 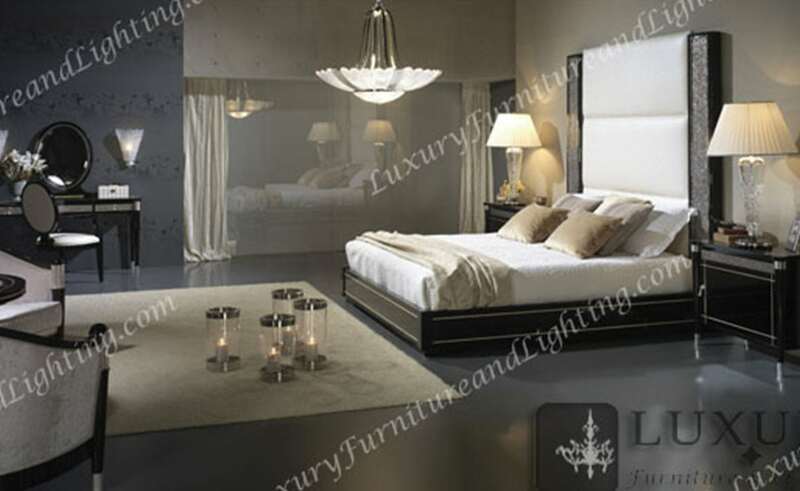 The look and feel of the NICEA King Size bed is opulence to say the least. 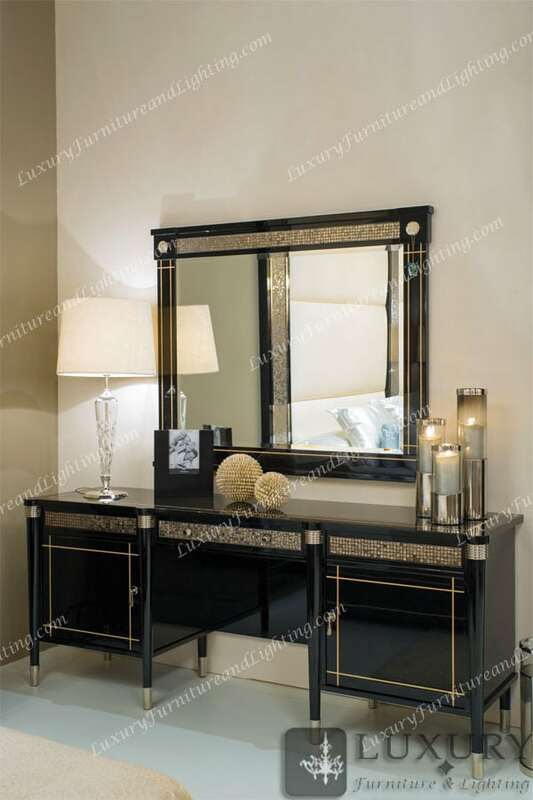 Up next is the NICEA Collection Bedroom Dresser Table and Mirror. 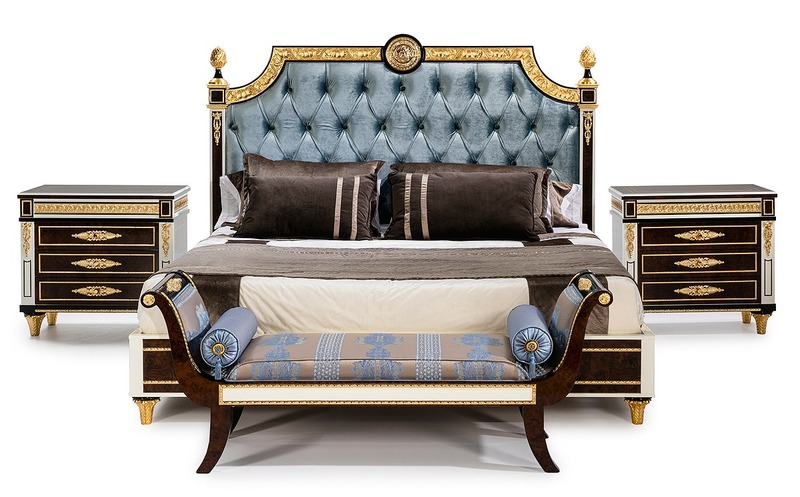 This is a very lavish piece to have and complements the King Size Bed. Your Queen or Princess can stow away her Jewelry, put on her make up, and showcase her perfumes. The large two sided mirror illuminates the elegance of the whole collection. 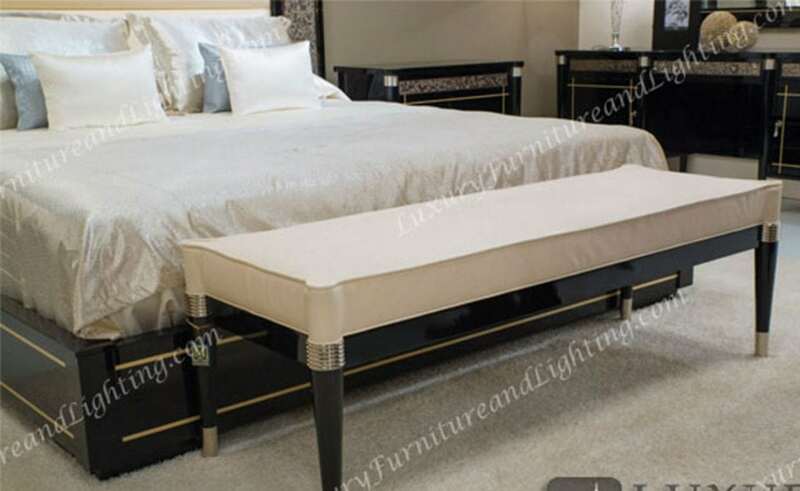 The NICEA Collection End of Bed Foot Bench hugs the end of your bed perfectly so you can take on or off your shoes and get ready for a good nights rest or ready for the day. The NICEA Collection Night Tables is the end all be all piece in this collection. What complements a Bedroom Set more than a Night Table? Nothing really! This will round out the entire NICEA Bedroom Collection. 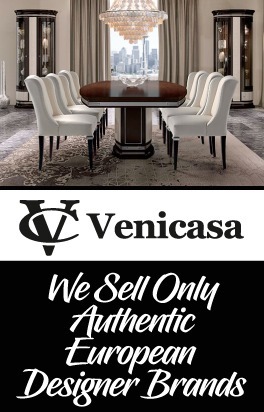 Do not purchase from any other Italian Furniture & European Furniture Company until you speak with us at Luxury Furniture. 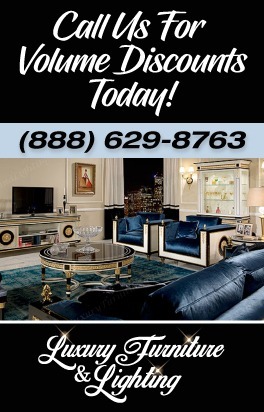 You will NOT find our Luxury Furniture at a LOWER PRICE anywhere else on the Internet. 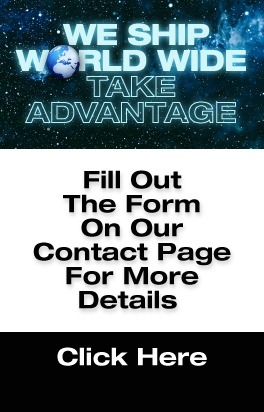 If you do send us the written estimate and we will beat it by 10%.